Welcome to my Colorado Chiropractic and Acupuncture Office Website! WEALTH BECOMES USELESS AND REASON BECOMES POWERLESS"
We are here to serve YOUR healthcare needs ! Our approach to your health and wellness will be predictive, preventive, personalized and participatory. At the Holland Chiropractic & Acupuncture Clinic it has been our Mission for the past 39 years to educate our patients about chiropractic care, acupuncture, nutritional support, and more recently, functional diagnostic medicine, the Kalish Method of Functional Medicine, Applied Nutritional Brain Health utilizing Monoamine Transport Optimization (MTO), an amino acid therapy as taught by the NeuroResearch, Inc. group and Dr. Marty Hinz, MD plus Brain Health and Nutrition as taught by Datis Kharrazian as well as other natural health solutions to both the common and less common health problems in order to motivate you to take a more active and responsible role in restoring and maintaining your own health as well as the health of those around you that you love and care for. We know that finding an experienced chiropractor who understands changing health care needs and the most current techniques and approaches to addressing health problems can be a daunting task. We hope that you will find this site helpful in learning more about our gentle chiropractic care as well as the ways that it can improve the quality of your life. I. Relief Care for your immediate healthcare concerns. When seeking care in our office, most people have but one goal: RELIEF. So that’s where we start! II. Wellness Care. We encourage our patients to achieve the highest levels of health they can. Through educational opportunities we hope to communicate the value of ongoing wellness care and functional health. Our desire is to see our patients abandon the prevailing sickness care model of health (waiting for symptoms and then taking action), in favor of the emerging wellness and functional health model. We offer a full array of traditional laboratory blood testing through LabCorp or Quest Diagnostics plus a host of Functional Medicine based laboratory testing as well as nutrition, homeopathic and diet based solutions to full range of health concerns. It’s your body, your health and your future. Our job is to offer you the finest care possible, and it’s up to you to decide how much of that care you want. My 34 years of patient care experience, my commitment ongoing training and passion for helping people feel better and be their best can make a lasting impact on your life. We hope you are interested in learning more about what either chiropractic care, acupuncture as well as the latest in Functional Medicine through functional diagnostic laboratory testing can do for you or your loved ones. Please call us at 303.422.7767 to take advantage of our offer for a complimentary 15-minute consultation. Serving patients in Arvada, Aurora, Bailey, Bow Mar, Boulder, Brighton, Broomfield, Castle Rock, Castle Pines, Centennial, Chatfield, Cherry Hills Village, Columbine Valley, Commerce City, Conifer, Denver, Denver Tech Center, Edgewater, Elizabeth, Englewood, Evergreen, Federal Heights, Franktown, Genesee, Glendale, Golden, Greenwood Village, Henderson, Highlands Ranch, Idledale, Indian Hills, Ken-Caryl, Kittredge, Lafayette, Lakewood, Larkspur, Littleton, Lochbuie, Lone Tree, Lookout Mountain, Louisville, Monument, Morrison, Northglenn, Parker, Pine, Roxborough, Sedalia, Sheridan, Southglenn, Superior, Thornton, and Watkins Colorado for over 39 years. 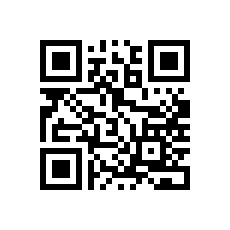 Scan our QR Code into your smart phone for mobile access to our office information.